If you have a teenager who may be addicted to drugs or alcohol, call 1-888-287-0471	Who Answers? today for more information on treatment centers in your area. About 60 percent of teens say that drugs are used, sold or kept at their school. Abusing alcohol and drugs can harm a teenager’s mental and emotional development. This is compounded by the fact that teens are less likely than adults to take into account the effect of their abuse on their futures. The major negative effect of drug abuse on teens is how they interfere with the way they learn to handle new situations and experiences. Having a counselor who can help teens learn how to properly handle stress or other issues makes treatment more effective. Many addicts also face a mental health condition, along with addiction, such as depression or bipolar disorder. Having trained mental health professionals who work with teens will help the diagnosis and treatment of other disorders that may be contributing to their addiction. If you need help finding a teen addiction recovery program in your area, call 1-888-287-0471	Who Answers? today. Teens who drink alcohol are 50 times more likely to take cocaine in their lifetime than teens who do not drink. “Teenagers are normally smaller than adults, so drugs and alcohol have a stronger effect on them.”One important issue for treating teenage addiction is physical development. Teenagers are normally smaller than adults, so drugs and alcohol have a stronger effect on them. Their lack of development also puts them at greater risk than adults for physical problems relating to drug use. Continuing schoolwork is an important part of treatment for teenagers. Education gives teens more hope for the future. It can help them set goals and give them the tools they need to achieve them. It can also help them develop communication skills and learn what the role of a good citizen should be. 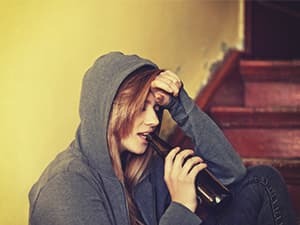 Finding a teen addiction treatment program that offers some sort of academic program will help the patient recover in a setting that can be beneficial in a number of different ways. Last year, 15.4 percent of high school seniors reported recreational use of prescription drugs. Many teens are forced into treatment by parents, schools or the justice system. Treatment does not have to be voluntary to be effective. However, it is important to understand that treating people who know they have a problem and want help, and treating those who do not want help is different. Knowing how to handle the issues that may arise from involuntary treatment is important for success. These are just some of the areas to consider when trying to find a teen addiction treatment program. It is important to find a program that fits with your beliefs and one you think your teenager will be comfortable with. Finding the right treatment center will go a long way toward a healthy recovery and a better life. If you would like more information on teen addiction treatment centers in your area, call 1-888-287-0471	Who Answers? today.